Many parents today are faced with a dilemma: How do I support my adult child in becoming independent? Do I let my adult child live in my home while he or she struggles to find a job? These parents think, “The economy is bad…maybe there really are no jobs out there. Should I continue paying for things like my child’s vehicle, insurance, clothes and cell phone? Maybe I should move him into an apartment just to get him out and pay the first few months’ rent, but after that it’s up to him. Or do I just kick him out of the nest and hope he learns to fly?” Kim Abraham and Marney Studaker-Cordner understand and have helped countless families in this situation. In their popular series on adult children in Empowering Parents, readers have learned why so many adult kids still live at home, and how adult children work “the parent system.” In Part 3, you’ll hear six specific steps that will help your adult child leave the nest. The important thing to remember: your adult child is not entitled to live in your home past the age of eighteen. It’s a privilege and you have every right to set the parameters. That’s always been your right – and always will be. First of all, we understand that many families in today’s economy do share a household for financial or other reasons. If you’re in a situation where your adult child is living with you and it’s mutually beneficial – or at the very least mutually respectful – that’s fine. 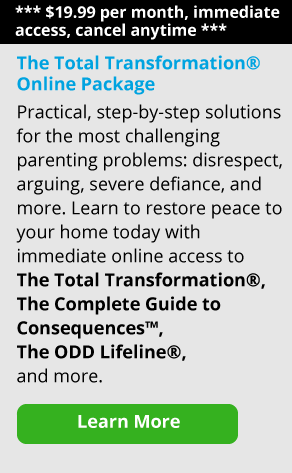 This article is intended to help parents whose adult child is dependent or lives at home in a situation that’s become uncomfortable or even intolerable. In recent articles, we’ve looked at how over time our society has moved from caring for our children to caretaking for our children, sometimes long into their adulthood. Many parents are held hostage by emotions: anger, frustration, disappointment, guilt and fear of what will happen if they do throw their adult birdie out of the nest without a net. Today, we’re going to give you some concrete steps to help that birdie finally fly! Are you in a place where your boundaries are being crossed and you need to establish some limits? Are you willing to allow your adult child to live in your home, within those limits, as he or she moves toward being more independent? Do you see your adult child as wanting to become independent, or as simply being more comfortable allowing you to take care of all their responsibilities? Has the situation become so intolerable – perhaps even volatile – that your main concern is getting your adult child out of your house, as quickly and safely as possible? Where you are with regard to your adult child will determine—in part —what steps you need to take next. Instead of picturing of your adult child as a little bird whose wings may not hold him up when he leaves the nest, think of him as fully capable of flying. Our emotions can cause us to be so afraid of what will happen to our kids that we think of them as children, rather than adults. In reality, your adult child is an adult—equal to you and equally capable of making it in this world. Thinking of him as incapable is actually a disservice to him and keeps you in parental caretaking mode. Your adult child may be uncomfortable with some of the steps you’re taking that encourage more responsibility but that’s okay. It’s what he needs to experience in order to make changes within himself. Changing your viewpoint will help you strengthen those “guilt” and “fear” emotional buttons. Identify ahead of time what your limits and boundaries are, what you’re willing to follow through with and which emotional buttons will most likely get you to give in. One parent told us, “I’m okay with my adult child not having extras (cell phone, video games, internet, haircuts) but I can’t let him be on the street. I know myself. I’ll never stick to it.” That parent knew they would allow their child to live in their home without the benefit of extras or entitlements, so that’s the boundary that was established. Turns out, that adult child decided those “extras” were important to him, so once his parent shut down the Parent ATM, he was motivated to get a job and pay for things—including an apartment—himself. Once you’ve strengthened your emotional buttons, it’s time to share what the new reality will be with your adult child. If your adult daughter lives in a separate residence but still depends on you as a source of income, make your boundaries clear: state what you will and will not pay for. If you need to start out small and work your way up, that’s okay. If you just can’t stop buying groceries yet because you know you won’t follow through with allowing your daughter to eat at soup kitchens or wherever she can find food (friends, etc. ), then start with things like cell phones, haircuts, money for gas, cigarettes, internet and other non-necessities. It’s her responsibility to locate resources: friends, churches, government assistance. Your adult child can always apply for assistance through government programs such as food stamps and rental assistance if she is truly unable to locate work and support herself. If your adult child lives in your home, draw up a contract that specifies the terms of her living there. This is an agreement between two adults. Don’t think of her as your child; picture her as a tenant. Then you’ll be less likely to have your emotional buttons set off. (If your neighbor gave you a sob story about how much she needed a cell phone, would you buy it? And pay the monthly bill?) An adult child may decide he or she doesn’t like the contract and will decide to live elsewhere. More power to them! The important thing to remember: your adult child is not entitled to live in your home past the age of eighteen. It’s a privilege and you have every right to set the parameters. That’s always been your right – and always will be. Step Five: Shut Down the Parent ATM (PATM)! The key to launching your adult birdie is to make it more uncomfortable to depend on you than to launch. A huge part of making your adult child uncomfortable is to stop paying for all the “extras”: things he or she views as necessities that really aren’t. In this world, he can live without cell phones, internet, computers, haircuts, make-up, clothes from the mall, video games and any other leisure activity you can name. If he’s struggling, he can get clothes from Salvation Army or Goodwill. He can take the bus. He can eat cheap. (Think boxed macaroni & cheese and Ramen noodles. You know…what many of us ate when we didn’t have any money.) If he doesn’t have the money for cigarettes or alcohol– he doesn’t get them. Many adult children make a career out of working their parents to provide things for them that they can’t afford themselves. Look at it this way. Your adult son’s hair can get really, really long; he doesn’t need a haircut. He doesn’t have to text; he can write letters. Stamps are less than a dollar vs. a $50/month data package. He can live without these things. Truly. He just doesn’t want to. It’s okay for your adult child to be uncomfortable; we’ve all been uncomfortable and survived. It’s actually a good thing and necessary for change. This is the key: change occurs when things feel uncomfortable, out of balance or unsteady for a person. It’s what motivates them to find their equilibrium again, through employment, returning to college, offering their services through odd jobs or whatever it takes to get the things in life that they want. Some parents have adult children at home who are abusing them verbally or even physically. You have the right to live in your own home, free from abuse, intimidation or disrespect. Anytime someone treats you in this way, they are violating a boundary and sometimes violating the law. It’s your right to establish personal boundaries that keep you physically and emotionally safe. In other situations, some adult children are not quite abusive, but they have literally worn out their welcome by taking and taking (financially and emotionally) without giving in return. The bottom line is you do not have to feel guilty about moving your adult child into independence so you can have your own life back. You have the right to spend your money on things for yourself. You have the right to enjoy peaceful evenings in your own home. You have the right to have the environment you want in your home. You’ve raised your child. He’s an adult now. You are not expected to provide for him any more than your parents are expected to provide for you as an adult. Remember to strengthen those emotional buttons. If your adult child typically pushes the “guilt” and “sympathy” buttons in order to stay dependent and comfortable, prepare yourself for what’s coming and come up with a plan on how you’ll handle it. You might even try making some note cards or adopt a slogan to remind yourself that you have the right to have your own home, free from negativity or meeting another adult’s needs. Eviction steps may sound harsh but remember to think of your adult as a tenant. If you’re to the point of evicting your adult son or daughter out of your home, things have probably reached a point that is simply intolerable for you. Your adult child may resist moving out at first, but again, the more uncomfortable he is, the more likely he is to leave on his own accord. If you fear violence or other repercussions from your child because of these steps, it’s beneficial to seek out local resources on domestic violence and/or contact the court regarding your right to a restraining order. Safety always comes first and if you’re in a domestic violence situation with your adult child, you’ll want to talk with someone knowledgeable about a safety plan. If you’re living with a spouse or long-term partner who is not on the same page as you, it can make putting these steps into effect extremely difficult. You can only control yourself. If it’s causing serious conflict, you may want to seek counseling regarding how you can come to a mutual agreement. Many, many young adults are struggling to become independent in today’s generation. Yes, the economy is bad and our country is experiencing hard times. But that’s nothing new. We’ve gone through recessions and depressions in the past. Families used to have “leftover parties,” where they got together and turned their leftovers into a meal. They used to wait until the weekend to talk on the phone to long-distance relatives so the rates were lower. Sometimes there wasn’t a yearly vacation and kids brown-bagged it instead of buying hot lunches. There’s nothing wrong with a family pulling together to make it in today’s world. The difference with many of the young adults in today’s generation seems to be in the sense of entitlement and the aversion to sacrificing in order to make it. Gone are the days of “If you can’t afford it, don’t buy it.” Today, society is all about technology and instant gratification. But it’s not too late to teach our adult children the values of delayed gratification and working for things they desire. It’s okay for them to be uncomfortable and realize they have the ability to survive hard times through self reliance. If your guilt or fear buttons start reacting, remember: we give our kids these lessons out of love. 3. Adult Child Living at Home Driving You Crazy? 5. Failure to Launch, Part 2: How Adult Children Work the "Parent System"